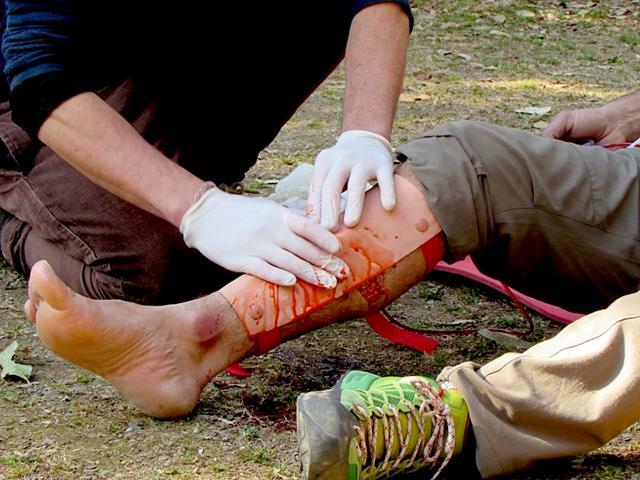 Get certified to administer first aid to save lives in the unpredictable conditions of outbound, outdoors, wilderness and Sports. ​The WAFA course comprises of a 28-hour (WAFA) module and a 4-hour Cardio Pulmonary Resuscitation (CPR) module, is accredited by Wilderness Medicine Society (WMS) and American Heart Association (AHA). 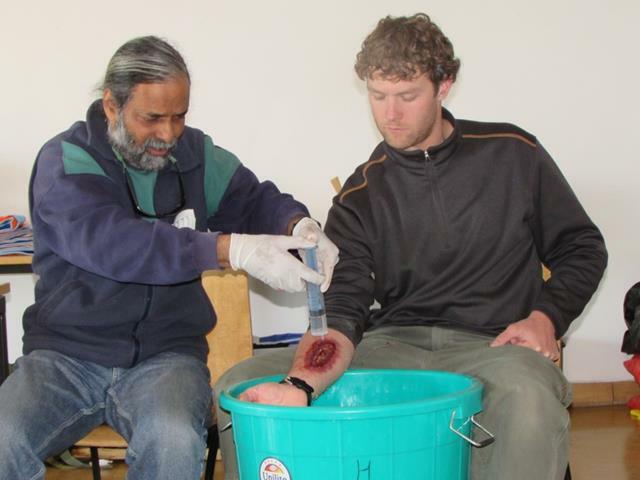 The WFA course is conducted by Hanifl Centre, in partnership with AERIE Back Country Medicine, USA. 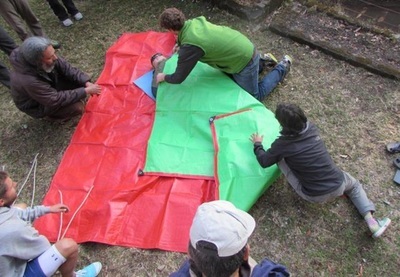 This is a mandatory certification for Adventure Instructors, Sports Instructors, Outbound Trainers and Outdoor Enthusiasts. 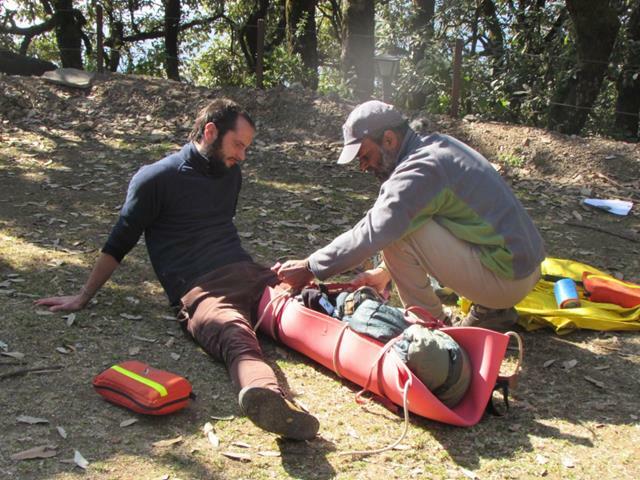 The WAFA course is conducted by Hanifl Centre, in partnership with AERIE Back Country Medicine, USA. This course comprises of a 28-hour (WAFA) module and a 4-hour Cardio Pulmonary Resuscitation (CPR) module and is accredited by Wilderness Medicine Society (WMS) and American Heart Association (AHA). Fees: Rs 9000/- per person -Includes Certification Fee, Tented Stay and Food. Instructor of Wilderness First t Aid courses & CPR conducted by Hanifl Centre of Woodstock School, Mussoorie, India and Aerie Backcountry Medicine, Montana, U.S.A.
Instructor of Wilderness First Aid course & CPR conducted with Aerie Backcountry Medicine, Montana, U.S.A. 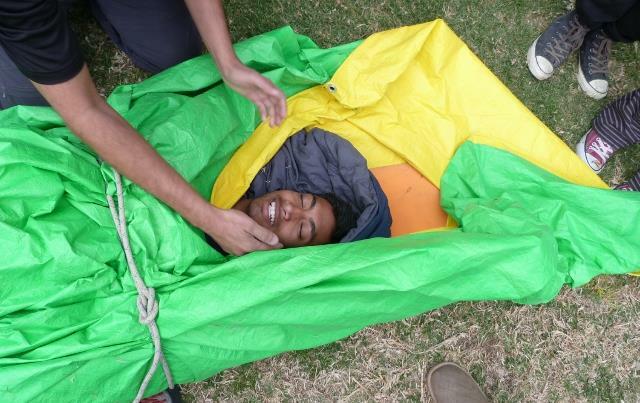 The Hanifl Centre for Outdoor Education and Environmental Study was initially built to extend Woodstock Schools curriculum and to provide a facility and a programme through which students can learn about the Himalaya and develop their skills and knowledge in outdoor education. It continues to contribute to the sustainable development of the region by transmitting an appreciation and understanding of the Himalayan environment to future leaders from around the world. Schools, colleges and universities from around the world visit the Hanifl Centre for semester-long programmes. AERIE BACKCOUNTRY MEDICINE: aeriemedicine.com Based in Missoula, Montana, Aerie provides wilderness and rural medical training and first aid supplies to over 2,000 students a year throughout the United States, Mexico, Central America, Africa and India. Aerie is operating for 20 years with over 10,000 graduates. 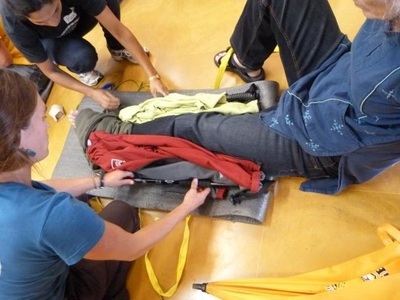 Aerie is unique in the wilderness medicine training world - small enough to focus on individual students and large enough to be involved in all levels of the outdoor industry and its training needs. All Aerie courses rely on effective, realistic and challenging scenarios.